There has been a great deal of talk about All Elite Wrestling recruiting top talents from around the wrestling world. With the benefit of Tony Khan’s deep pockets, Cody Rhodes’s creative vision, and the momentum of All In, AEW is equipped to draw in bigger, better talents than a start up promotion would ordinarily be expected to have access to. The fledgling promotion has already highlighted a focus on tag team wrestling. The Young Bucks are not only star recruits, but executive vice presidents who are sure to keep tag teams a priority.. Rey Fenix and Pentagon joined the mix at the Double or Nothing Rally in Las Vegas, in addition to Best Friends and SCU having signed on. Reports suggest that The Revival asked for their WWE release, too, and while their recent push may compel them to stay put, might there be another, even better established WWE tag team that could head to AEW soon? 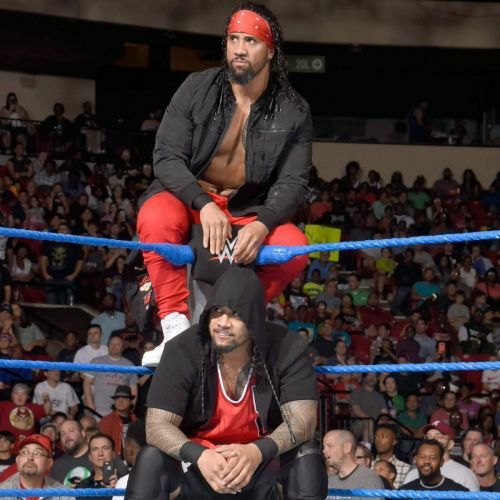 This article looks at four reasons why The Usos may be AEW bound. It’s a testament to The Usos' longevity in WWE that they have worked such a variety of opponents, including The Shield, The Hart Dynasty, The Corre, The Wyatts, and The Real Americans, right up to more contemporary units like New Day, The Bludgeon Brothers, and The Bar. Along the way, they’ve collected five tag title reigns, starred in a Hell in a Cell match, teamed up with Roman Reigns toward the top of the card, and worked as both faces and heels. Barring a huge paradigm shift in which WWE features tag teams as main eventers, it’s hard to imagine The Usos really bolstering their resumes at this point. Sure, they might garner sixth, seventh, or eighth tag title reigns and work newer teams, but that doesn’t so much feel like changing their legacy as adding more of the same to it. AEW presents a fresh slate of opponents in a pro wrestling company that The Usos could help build from its early stages. 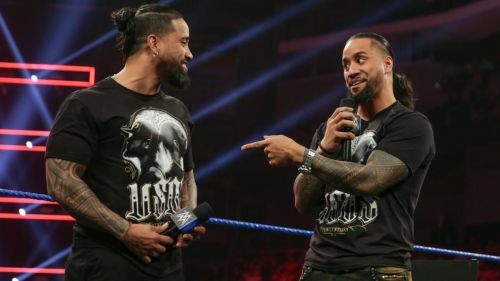 3 Reasons the Usos should not join AEW, and 3 reasons that they should.